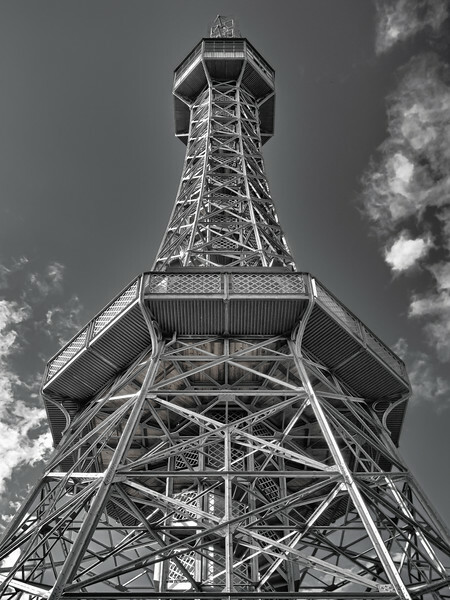 The one above is of the Petrin View Tower, a mini 70m Eiffel Tower which was completed in 1891. The tower is about 4 to 5 times smaller than its big sister in Paris, but the fact that it is built on one of the highest hills around the city, compensates. After paying a nominal fee of about 3 Euros one starts climbing the 300 steps. Once up there the 360 degree view is great! More of my Prague images can be found here. 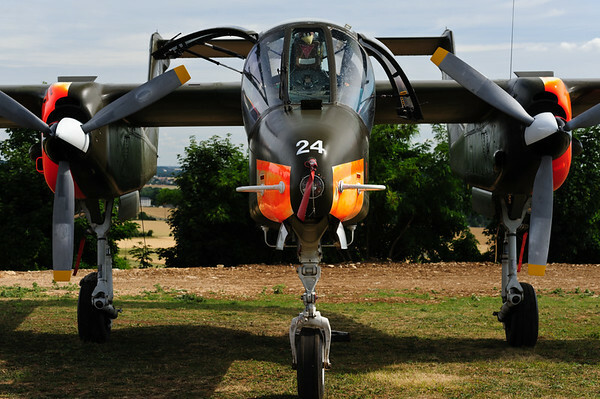 A few days days ago, I blogged about my visit to the La Ferte Alais, " Le Temps des Helices" airshow South of Paris. Most photos of the event went through my standard image editing process, however a few stood out! The image above of the Douglas DC-3 Dakota leaving the active runway in the rain is definitively one of them! The DC-3 is what really made air travel accessible to each and everyone pre World War II. Just over 16000 Dakota-s were built and amazingly some of them are still in commercial service today! Last December was the 75th birthday of this vintage airliner. History TV docu-series, "Ice-Pilots" is a great illustration on how this magnificent bird is still used today under extreme conditions in Northern Canada. 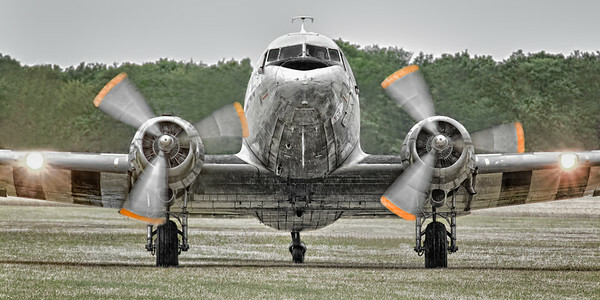 It is often said, "the only way of replacing a DC-3 is by getting another one"! I've always been a great fan of Nik's SilverEfex. Lately I've upgraded to SilverEfex 2 and I have not been disappointed! One of the interesting things one can now do with the version 2, is selective coloring. We have all seen the images of a red rose standing out in an overall B&W image. Unfortunately this is often over-done and misused. On the image above I wanted to bring back part of the colors to give it a vintage look. Personally I really like the end result! What do you think? I would appreciate Comments below please! 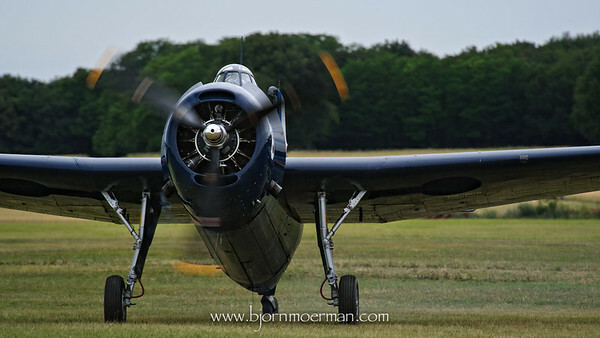 I've an unwritten list of Aviation events I want to photograph one day... 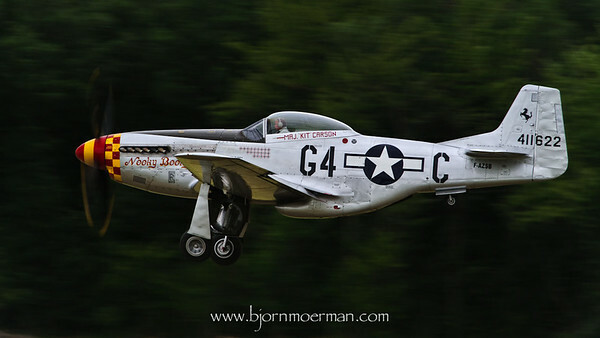 Earlier this year, I managed to tick off my top 3 US events; Airventure, Reno Air Races and Sun 'n Fun. 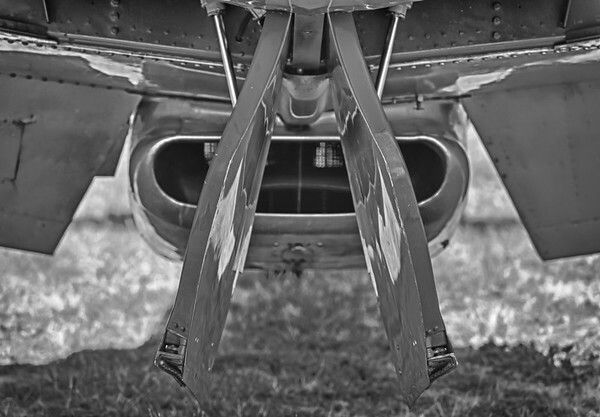 Closer to home, the "Temps des Helices" (Propellor times) airshow was ticked off the bucket list last week! Going back to 1970, every year on Whitsunday, an excellent antique aircraft flying display is held at La Ferte Alais airport. 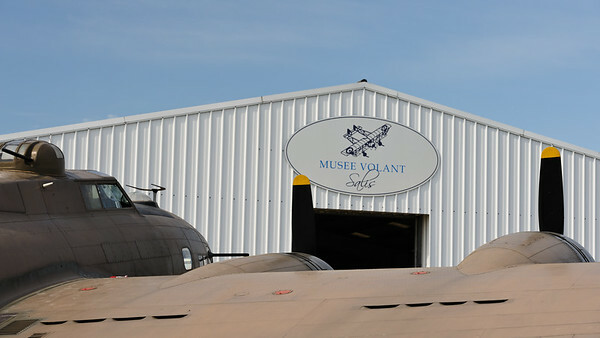 The small grass runway 40km South of Paris is home of the Amicale Jean-Baptiste Salis aircraft collection. 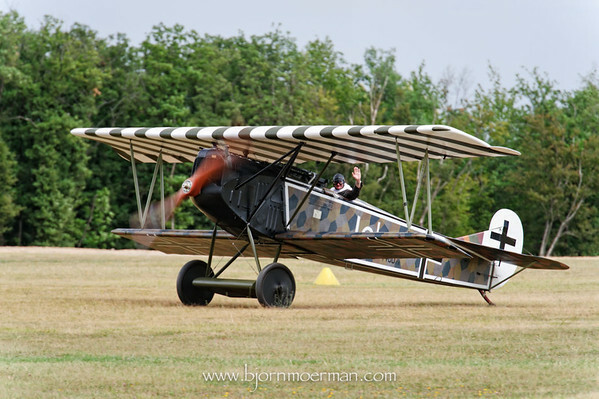 More than 70 flying vintage aircraft from the early 1900's Bleriot's XI, through World War I biplanes, WW II warbirds and Vietnam era aircraft. The layout and setup of the airport is a photographers paradise. The public is facing North (sun in the back) along the flightline which is parallel to the runway. That way, all aircraft taking off, landing and taxing are relatively close to the spectators. A high tree line on the opposite site of the runway keeps the background relatively clear of distractions. 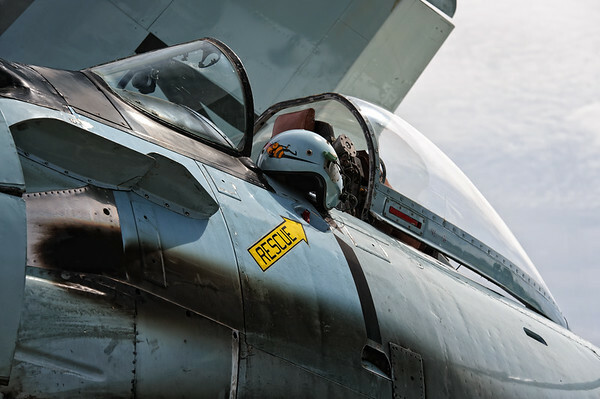 A common problem with a lot of other airshows around the world. Before 1 p.m. (start of the airshow), one can tour the static aircraft parking. There are however low fences around them, making it at times a challenge to have clean shots. Concentrating on details like the Skyraider cockpit above or the P-51 Mustang wheel doors below, are the way to go! 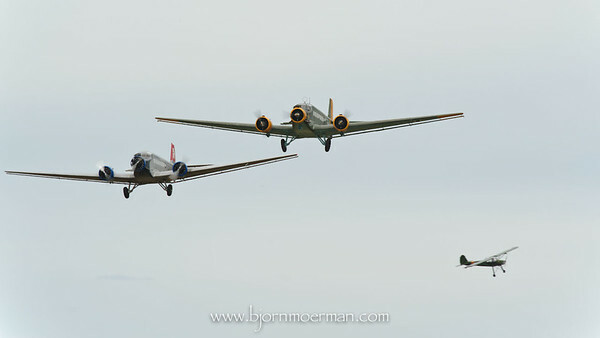 Shooting from a low angle like this DC-3 Dakota image seems to also work well! There was a large variety of aircraft, including this Vietnam veteran OV-10 Bronco which got a lot of attention! 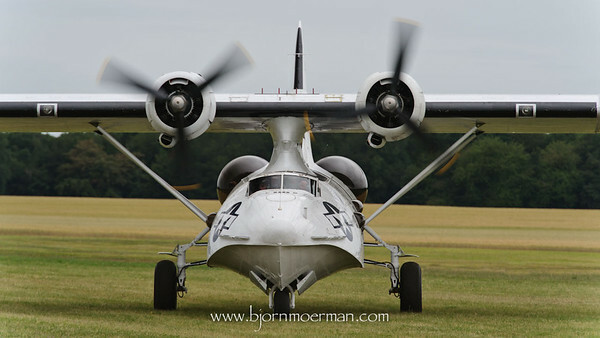 Visitors could also buy tickets for short touring flights on either an Antonov AN-2 biplane or a WWII Junckers JU-52. 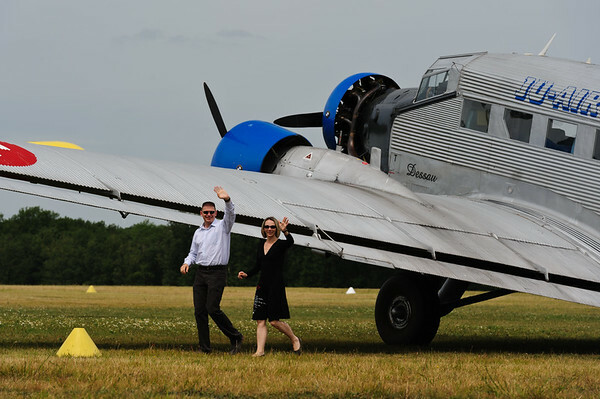 It looks like it was a good experience for the couple above getting off the Junckers! 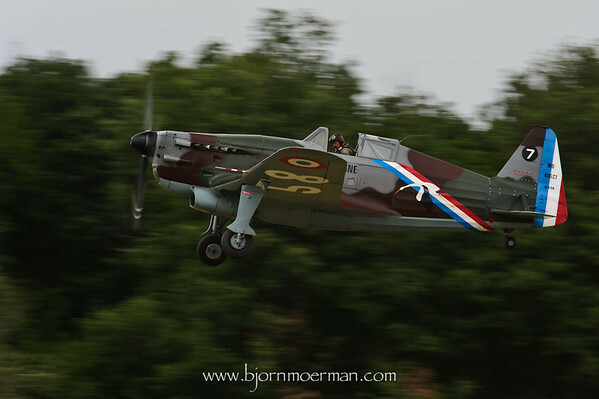 There were quite a few aircraft, like this Morane MS406 C1, which I had not seen flying before. Overall the show is very well orchestrated. Aircraft from the same era, go out flying together, like these two Junckers JU-52 (actually the green one is a license built Casa 352L) and a Fieseler Storch. The ones following me on Facebook and/or Twitter probably know that I attended a "paragliding" course in the French Pyrenees last month. Unfortunately rain and too strong winds, grounded us (my wife being the 2nd person) for part of the course. Schedule permitting we should be doing some more jumping of mountains, end of July! The weather might have kept us on the ground, but did not prevent me from making some images! 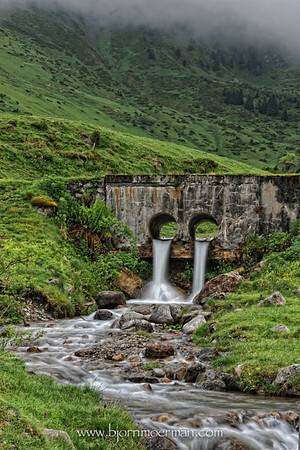 Unlike popular believe, shooting in the rain makes for interesting imagery, including some very saturated greens like in this image of a farm high up a mountain pass near Payolle. At times skies were very dramatic. I like how these horizontal (cloud)layers make for a pleasing image. The Rule of Thirds at work! 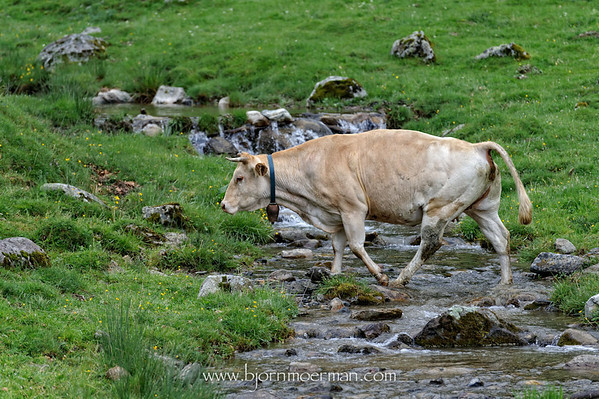 While driving on a deserted mountain road, we bumped into a group of cows crossing a river. It reminded me of the millions of Wildebeest crossing the Mara river on the Kenya-Tanzania border each year. My Fader ND filter also had a good workout on this trip. If you're tired of water looking like it is frozen, using one of these is the way to go! While away in the South of Spain last month, I was amazed by the number of large trees in parks and streets. Ten years ago this would have gone un-noticed, but since being in Dubai, I've really started appreciating nature at its best! 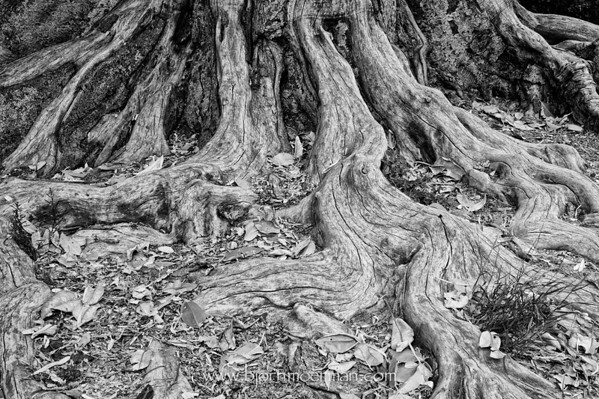 Especially if you realize some of these trees were there pre World War II, even WW I. Isn't this amazing? Don't take picture, make pictures! My three week break from Dubai, is slowly coming to an end... 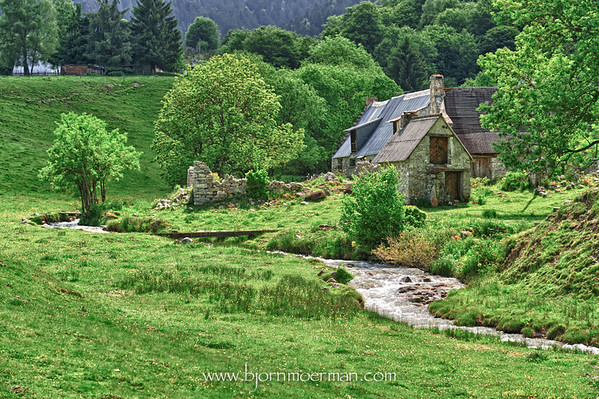 Spent time in Southern Spain, the French Pyrenees and finally a bit more than a week in my home country Belgium. 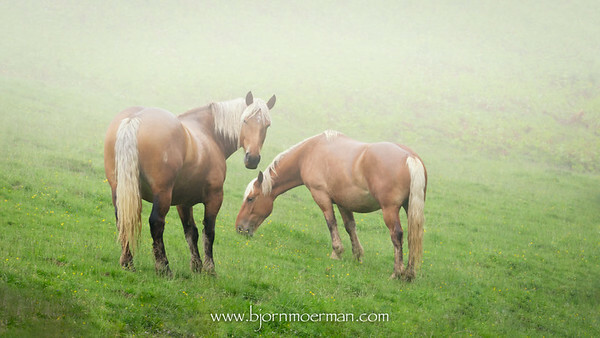 While following a dirt track out of the Payolle valley, we bumped into these two wild horses grazing peacefully on a cloud covered mountain pass. The sight of them all of a sudden appearing through the mist is one of my favorite photography moments of the trip. 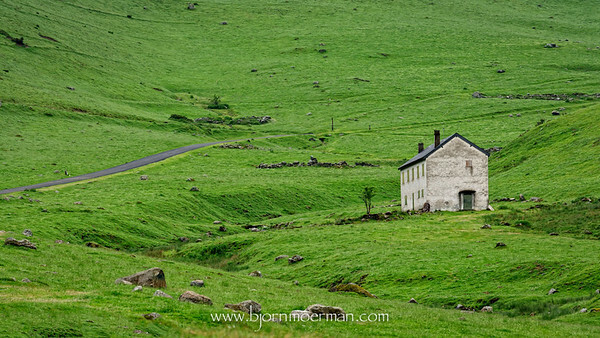 Once the image editing is completed, I'll upload a few new galleries to my Travel section. 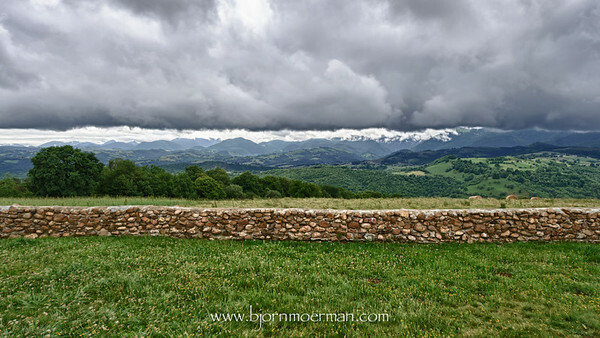 I'm writing this while attending a paragliding course in the French Pyrenees. Unfortunately the weather is not what one would expect for early June in the Northern hemisphere. Last night we had quite a bit of snow on the mountain peaks. While checking the weather at breakfast this morning, we noticed a 40 degree temperature difference; 5 C at Campan, 45 C at Dubai... So much for global warming! Tomorrow is our last day in the mountains and looking at the weather forecast, we should still have a reasonable chance, to do a few "Grand Vols" (long flights). 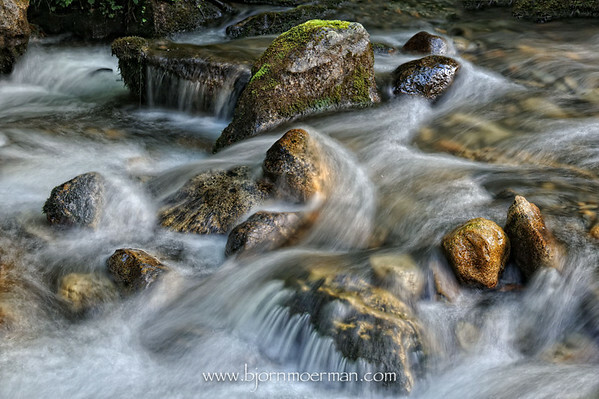 Meanwhile, I managed to do quite a bit of landscape photography, including shooting some small waterfalls and mountain rivers. The recent rains, really make for very saturated greens. 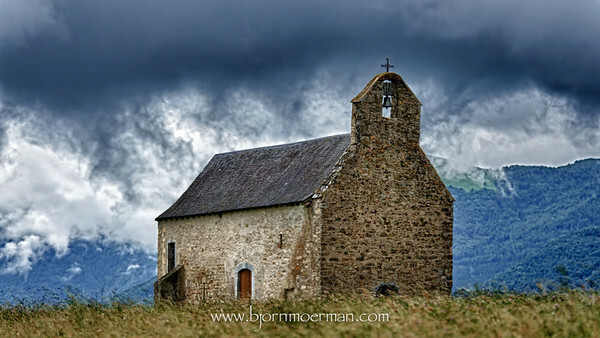 In between rain showers, I made this HDR image of a chapel with very dramatic cloud formations behind it. 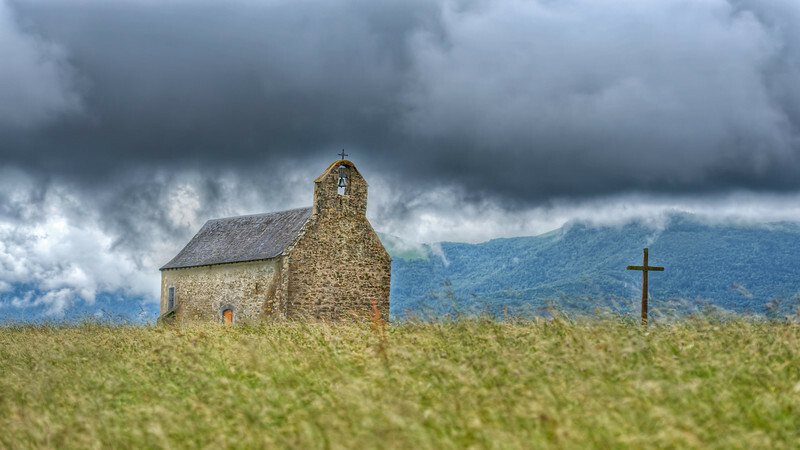 I believe "Chapel of clouds" is self-explanatory! At times HDR photography makes the sky go very dark, almost black. The actual clouds were however as dark as in the image above. More photography from the last 10 days once back in Dubai, mid June.